This is one of those gadgets that might be useful, but your neighbors are going to hate you for it. It’s always a pain when you’re trying to find a house and everyone has numbers posted that can barely be seen. 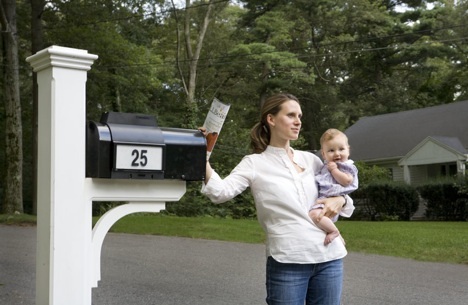 Well with this mailbox you’ll make sure that anyone that can find your house. It has a bright light behind the numbers, the light will allow for people to see your mailbox from half a football field away. I’m sure the neighbors will just love that. At least it manages to keep that bright light up and running in an eco-friendly manner. It has a solar panel on the top. You won’t have to worry too much about cloudy days causing issues for the light either. Since all it takes is 4 hours of sunlight to keep it charged for 4 days in a row. The mailbox isn’t out just yet, you’ll be able to purchase this as of October 1st. At that point it’ll cost you $79.99, which for those of you who live in rural areas might be a bit much. Especially considering with that bright light is like begging for someone to knock your mailbox over. I actually just picked one up today. I wanted to get something like this for a while now. We had a situation a couple years ago when my uncle was having a seizure and EMT passed the house twice because they could see the number. Now that I have children–even more importance. Worth the money! !